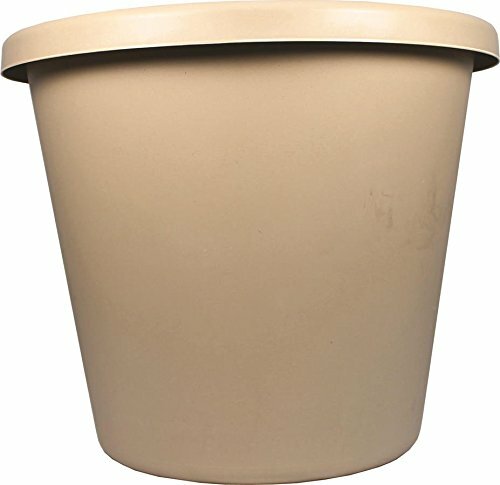 This classic pot is molded plastic construction with lightweight and durable. A timeless container for any environment. Perfect for formal and informal arrangements, inside or outside. Their rolled rims make the pots easy to pick up and easy to move. Drainage holes protect plants from excess water. Deep saucers complement each size planter. Available in sandstone color. It measures 24-inch diameter.